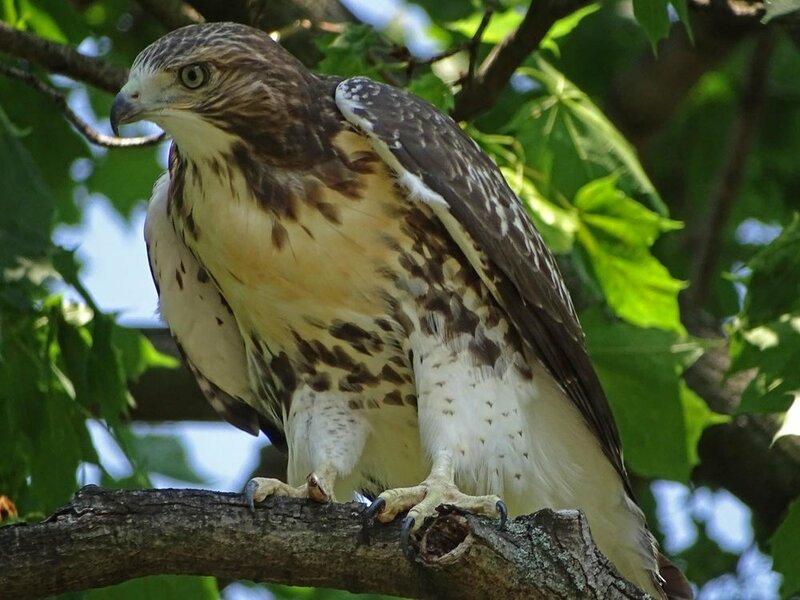 The Grant's Tomb nest this year hatched three young red-tailed hawks, which have fledged and are delighting everyone in the neighborhood. I've been filming them as they go from crying on the back of the Grant's Tomb monument to hunting bugs at the Claremont Playground to the north. More photos and video will follow! One of the three Grant's Tomb fledglings, June 21, 2017. The Chasing the Hawks videos are being doing in parts. 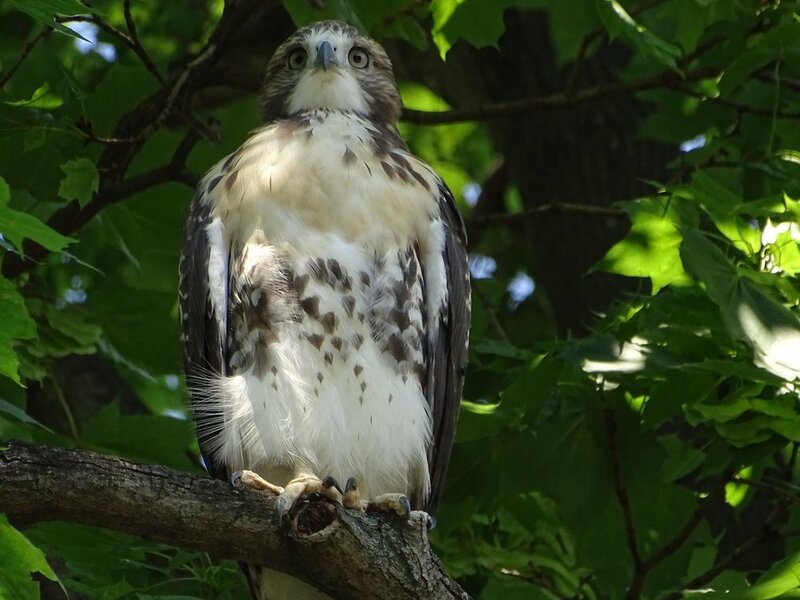 I just posted Part 1 of The Grant's Tomb Fledglings, which covers June 13, 16 and 21. The first seven photos below were taken June 13. The fifth shows a parent (I think Mom) bringing in a pigeon, which she then took to the ledge of the monument, where the kids ate one after the other. 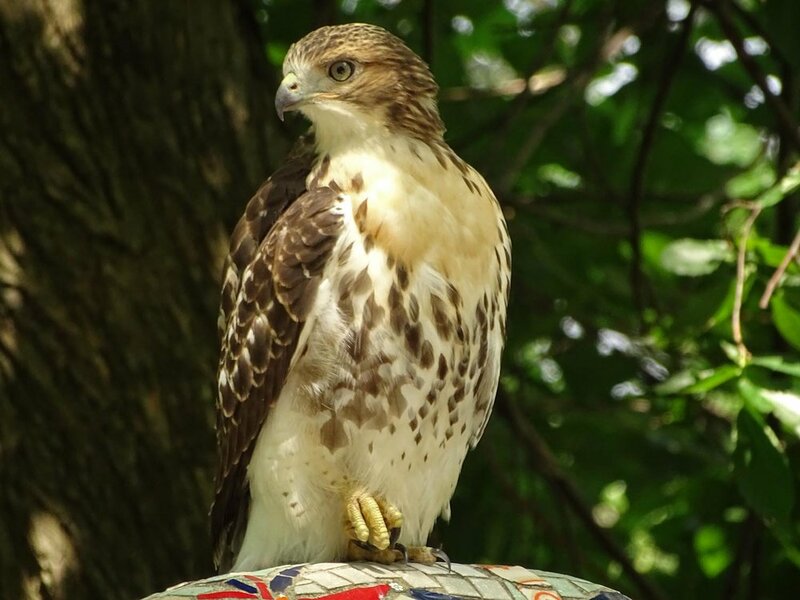 The eighth photo was taken June 16, and shows a balcony with a potted red-tailed fledgling. These photos were taken June 21. Mom brought a pigeon to a tree. One of the kids started eating it there, while another watched and cried. The fledgling with the food carried it to the ground, where the meal was devoured. Sharing is not considered a hawk attribute. Older PostPurple Monster? No! Purple Martins!